Being able to generate quality leads has been the most crucial job of the B2B marketer. But things have changed a bit. Most companies are now looking for marketing teams, especially demand gen teams, to own a revenue number, not just a lead goal. Looking at a revenue target (that continues going up over time, mind you) can feel overwhelming. How the *&^% are we going to contribute $X to the company revenue goal next month/ quarter? So I’ve often found that working backwards to figure out how many leads we need to generate makes everything look much more manageable. Just like thinking about a goal of doing 100 pushups a day can sound intimidating until you break it down into doing 10 pushups 10 times a day. Take your revenue goal, divide by average deal size to figure out how many customers you need, divide that by conversion rate of opportunity to customer to figure out how many opportunities you need, divide that by conversion rate of MQL to opp to figure out how many MQL’s you need, and then divide that by the conversion rate of lead to MQL to figure out how many leads you need. You can also take this a step further by estimating how much traffic you need from each channel multiplied by the expected conversion rate for that channel. If you’ve been doing B2B lead generation for a while, you know that not all leads are created equal. And you’ll hit a ceiling or experience diminishing returns with most channels. So for most of us, we need to not only continue investing in the channels that are working for us now, but continually explore new channels in order to keep growing. When you build a system to consistently bring in leads using these channels and strategies, that’s what will allow you to hit your goals. And note, you don’t have to make every one of these channels work to be effective (more on that in the last section of this guide). That’s why I wanted to compile a list of the most effective ways to acquire leads for a B2B business. Note: There are dozens of other advertising channels that I’ve omitted here (Twitter, Taboola, Outbrain, etc.) Rather than list out every single channel or strategy that you could possibly generate a lead from, I’ve tried to hone this list down to the 15 I believe to be the most effective (based on personal experience and the experience of friends/marketers I follow). I also added case studies, examples, and/or useful resources for every lead gen channel mentioned below to help you better convert from each channel. Plus you can grab a copy of our spreadsheet template that we use here at Chili Piper to track all of our performance on paid channels. 16. So What Should You Do Now? I love SEO. It’s one of the most scalable ways to sustainably grow your traffic and lead gen.
SEO is a massive topic and, compared to most of the other traffic/lead gen strategies in this guide, there is tons of great content published by smart practitioners. When I was at SnackNation, SEO was one of our main growth drivers. In the early days, we knew that if we only created content directly related to our product (healthy snacks for your office), we wouldn’t have much to talk about and our traffic potential would be severely capped. 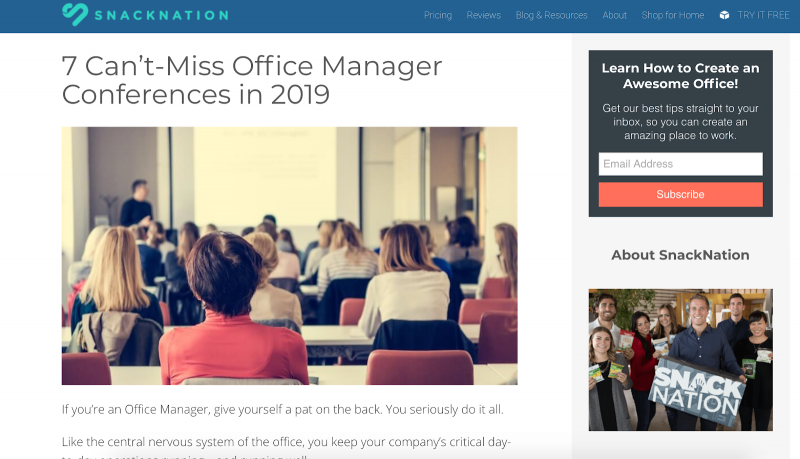 Create content that helps Office Managers, HR Professionals, and other culture-focused employees create an office that people love. 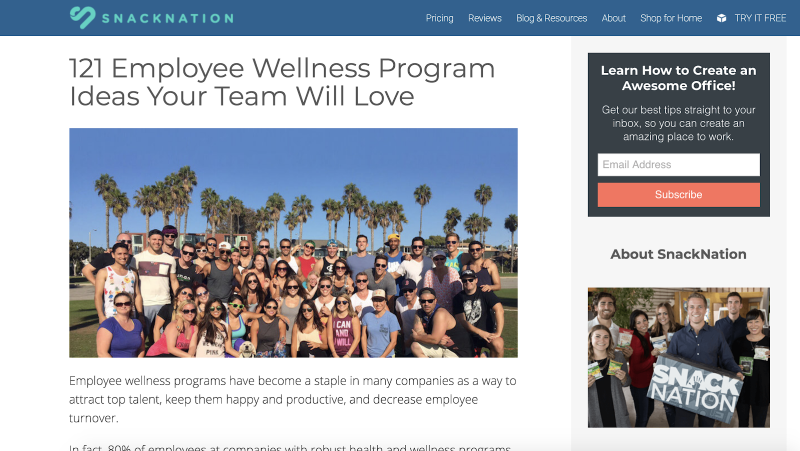 So we wrote long-form articles about employee wellness ideas, team building activities, and fun office games. We created massive, in-depth guides that we spent a lot of time and money creating. And we also wrote shorter articles that helped our target personas become better in their roles. And it worked out really well for us. As our blog traffic grew, we saw a direct correlation in our growth of leads and new MRR with attribution from the blog. If you want a more in-depth look at how we executed on this SEO strategy, read this case study that was written about SnackNation on Backlinko. Plus the next section in this guide will show you ways to convert SEO traffic to your blog into leads. Traffic for the sake of traffic won’t help you sustainably convert visitors into leads. Just look at what happened to the Kissmetrics blog. I think really where B2B content is going is on really deep focus about your core offering, its values, its benefits in the workflows that it supports, and really sticking to your topic and owning it outright instead of trying to get a really big blanket of thinner content like a tips post or a really basic template. Really creating entire libraries about singular ideas and really focusing the library to hit every type of question, every type of user intent, and mapping that to the purchase process or the buyer’s journey. That’s where I think content is going in. Intent and relevance are vital. 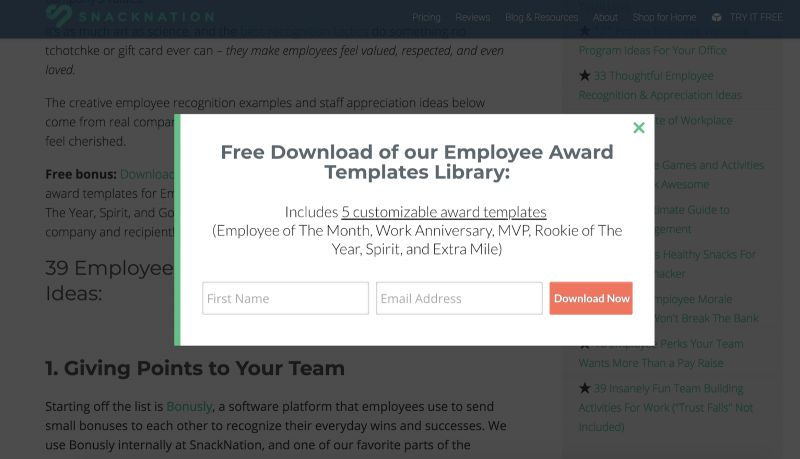 The key for SnackNation was that we always kept our target personas in mind and made sure any piece of content we created was going to be useful for them and build affinity with our brand. One strategy you can use to see which keywords are worth pursuing organically is to first test it with Adwords. That way, you can much more quickly figure out which keywords are relevant to your product and will actually convert. The SEO section above is a good segue into converting leads from content, since SEO is more focused on traffic generation. We’ll kick-off this section with ways to convert leads from your blog (since that is where most marketers are able to scale their organic traffic). Then we’ll move into other content plays you can use to generate leads. Curious which one is more effective? My buddy Devesh Khanal wrote this post about his experience testing both for his clients. Most companies will get higher conversions using approach #2 above, especially if you offer something for free (i.e. free trial or free account). But like most things in marketing, you’ll have to test it out for yourself to get the right answer. 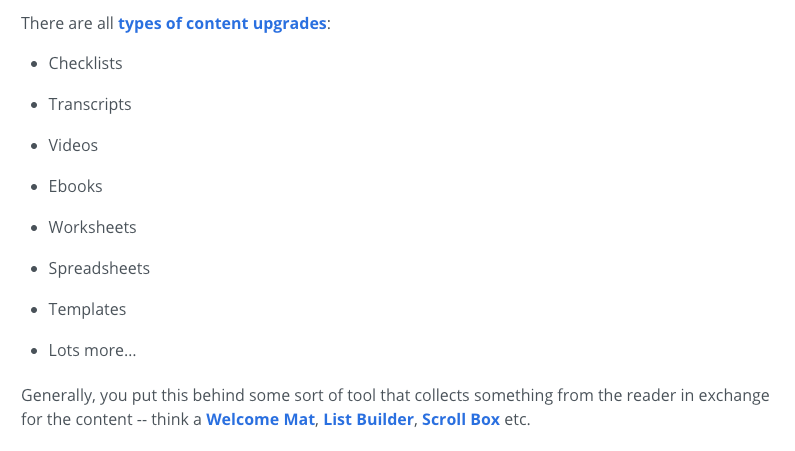 If your goal is convert more blog visitors into email subscribers to nurture, here’s an awesome post by Sumo on different types of content upgrades they tested and the results of each. HubSpot also published an interesting case study on how they generate leads from their blog. 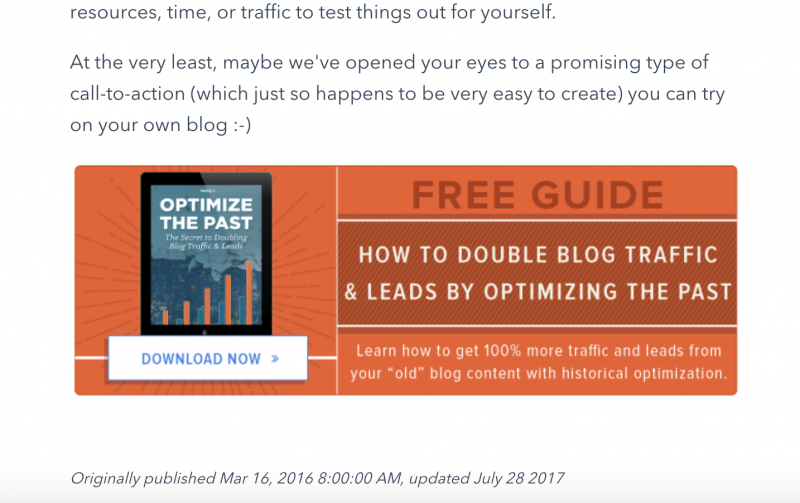 They found that end of post banner ads (like the one pictured below) only contributed to 6% of a blog posts’ total leads. Instead, anchor text CTA’s (pictured below) make up the majority of their blog leads. You can read their whole case study here. You can also use sticky bars and exit popups to drive content downloads as well. 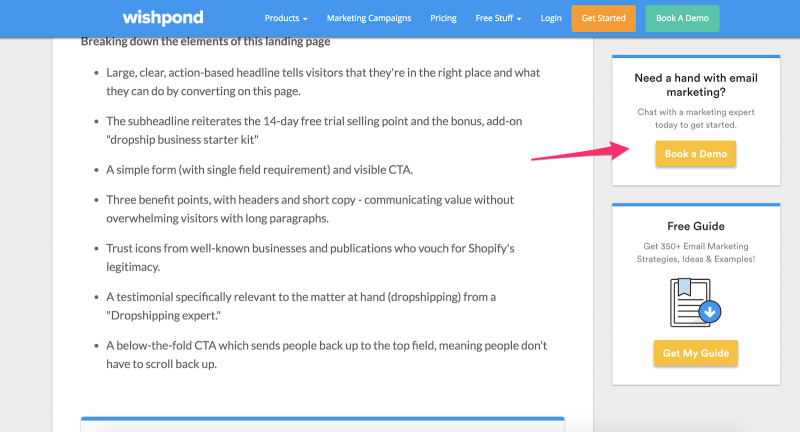 If you want to go for direct conversions off your blog, you can use the same callouts as above with a different CTA. Databox uses this method really well. 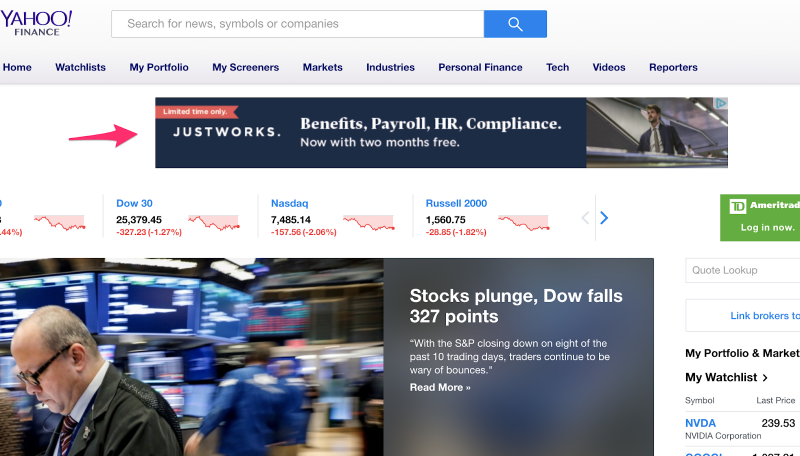 They’re a data and business analytics platform and in their posts, they offer readers a free dashboard that’s relevant to the topic of that article. For example, in a post about facebook ad metrics, they give readers the option to access a free Facebook Ads dashboard within their product. Many companies use a combination of both approaches to give people options, and it works well. For example, on the SnackNation blog you’ll find most CTA’s are to download a piece of content (especially on top of the funnel content). I wrote a whole case study (check it out here) on how we implemented this 2-step approach on a relatively young blog to generate over 880 leads, 160 opps, and 20 new customers in 10 months. Webinars are another way to generate qualified leads from content. Someone attending your webinar is investing 30-60 minutes of their time, so they’re typically going to be much higher quality than some of the other leads you get from content. The key to creating a webinar that actually generates leads is picking the correct topic. A lot of marketers are tempted to choose a really broad topic that they think will attract a large audience, but then run into the problem of low conversions. The best webinars match a topic that people are interested in with a problem that your product solves. Shopify has a great example here. Their software helps people host and manage their ecommerce store. So the marketing team created a webinar called How to Quickly Start a Profitable Dropshipping Store. This was a pre-recorded webinar that played throughout the day so people could access it at any time. 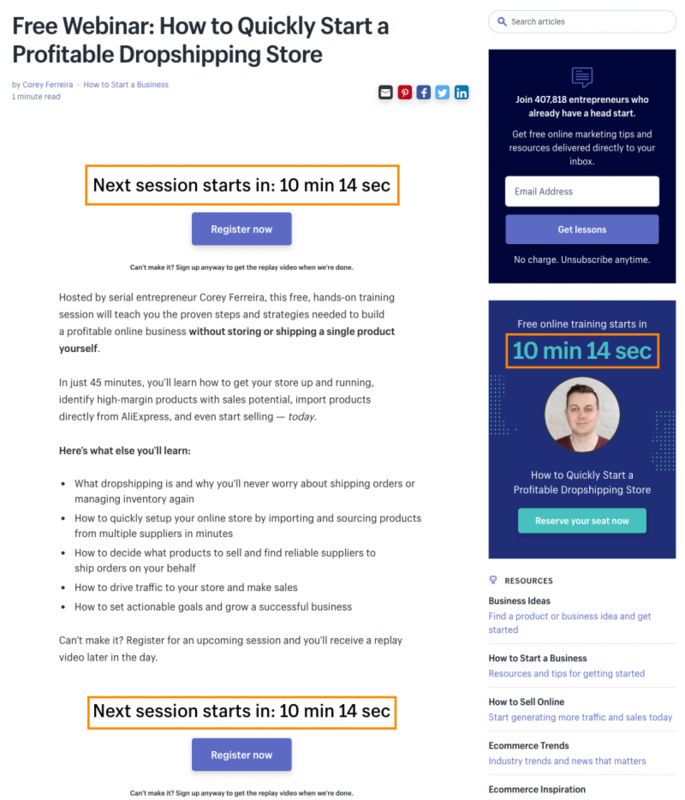 What was super smart about this webinar is that they not only educated people on how to start a dropshipping business, but also on how to do it within Shopify’s platform. They also gave everyone who registered for the webinar a free trial of their product so they could do the exact thing they were interested in: starting a dropshipping business. The biggest appeal of co-marketing is that companies are able to leverage each other’s audiences and expertise. These campaigns tend to be most effective when you partner with a company that sells a complimentary product/service to a similar audience. 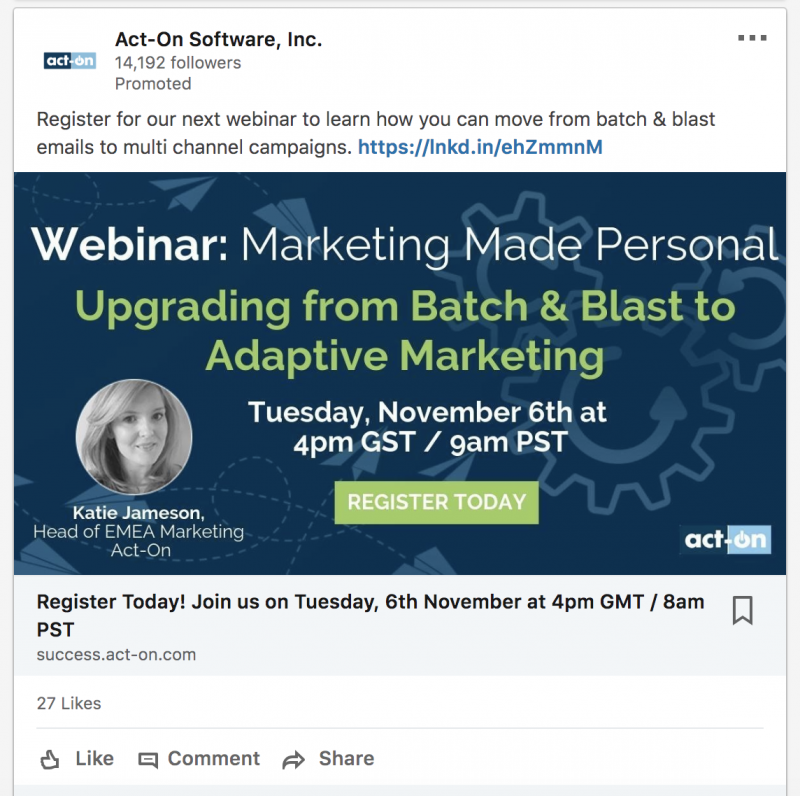 Over the course of about 18 months, Sprout Social (social media management for businesses) leveraged co-marketing with more than 40 companies to produce webinars, eBooks, video series, and joint research that each company promoted to their audiences. And what’s even more impressive is they did it without spending much money on promotion. Read the full post about Sprout Social’s co-marketing strategy here. The leader of pay-per-click advertising. Never cheap, but typically the best quality leads from advertising because there’s intent (versus social ads where you’re attempting to grab someone’s attention when they’re not specifically looking for a solution or answer to something). Let’s explore the different types of ways to advertise with Google. (Note: I excluded Bing/Yahoo ads from this guide because they represent only a fraction of the search volume compared to Google. If you have a lot of success with Google and want to scale, I’d recommend then moving on to the other search engines). AdWords allows you to bid on keywords you want to target with text based ads at the top of Google’s search results. Keyword bid –this is the maximum amount you are telling Google that you’re willing to pay for a click. Quality score – a score based on your click-through rate, the relevance of each keyword to that ad group, your landing page quality/relevance, relevance of your ad text, and the historical performance of your Adwords account. Competition – how many other advertisers are bidding on the same keywords and how much are they bidding. 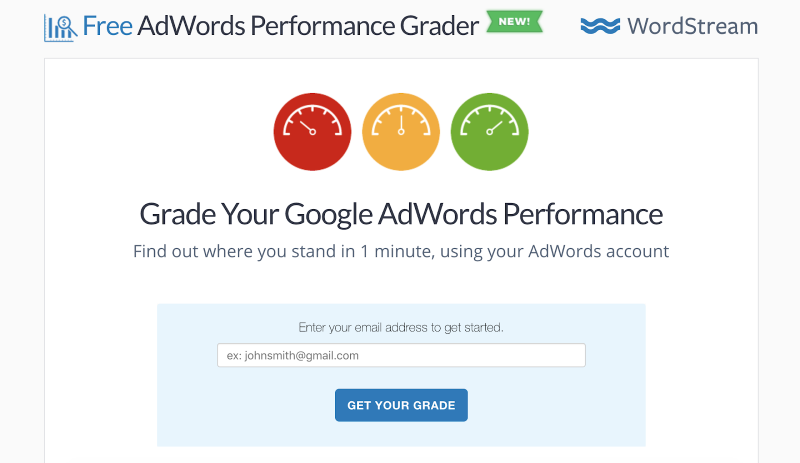 For an in-depth guide on how to use Google AdWords, check out this guide from WordStream. Adwords can be tough in the B2B space due to lots of competition, high CPC’s (cost-per-click), and low search volume (depending on industry). But most companies can benefit by making Adwords part of their overall lead gen strategy. AdWords for B2B: Stupid or Stupendous? Bid modifiers allow you to adjust your bids up or down based on certain criteria without changing campaign or ad group targeting.For example, you can adjust your bid up 25% to anyone who has visited specific pages (or any pages) on your site in the last x days. Google’s Display Ads are text, image, video, or interactive media ads served up on other websites that support Google’s Display Network. According to Google, the Display Network has over 2 million sites and reaches over 90% of people on the internet. They appear in a variety of different shapes and sizes based on how the webmaster has placed Google’s AdSense (the program through which websites can tap into Google’s Display Network to monetize their site traffic). From personal experience testing display ads, I find their overall value is in brand awareness that stokes curiosity and brings more people to a website. When I’ve run these ads, I’ve noticed that our website has a little bit higher lead volume than normal. And when I turn display ads off, that mini spike returns to its normal level. But I’ve heard from several fellow marketers that using display ads for remarketing (i.e. only targeting people who have visited your site, or specific pages on your site) can generate a good ROI. 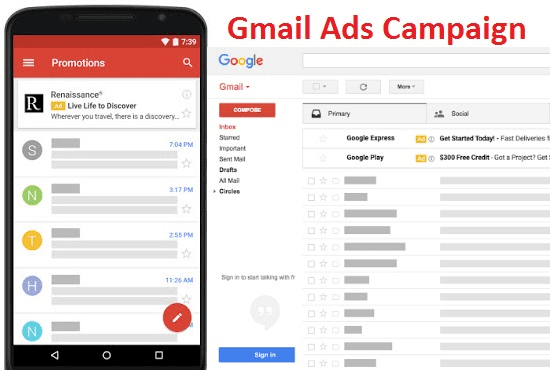 Gmail ads appear in (you guessed it) Gmail. I love the Gmail Ads functionality that allows you to target certain keywords (like competitor brand terms), but unfortunately Gmail ads don’t appear on business Gmail accounts – they only appears on free Gmail accounts. This really limits its effectiveness in a B2B setting for obvious reasons. That being said, some B2B companies have still found a way to make Gmail Ads work. Obility, a B2B marketing agency, tested Gmail Ads using competitor “domain” targeting and saw a 3.4x return on ad spend in the US and a 2.7x return in Mexico. YouTube offers advertisers the ability to play a video ad before or next to related videos or in search results. 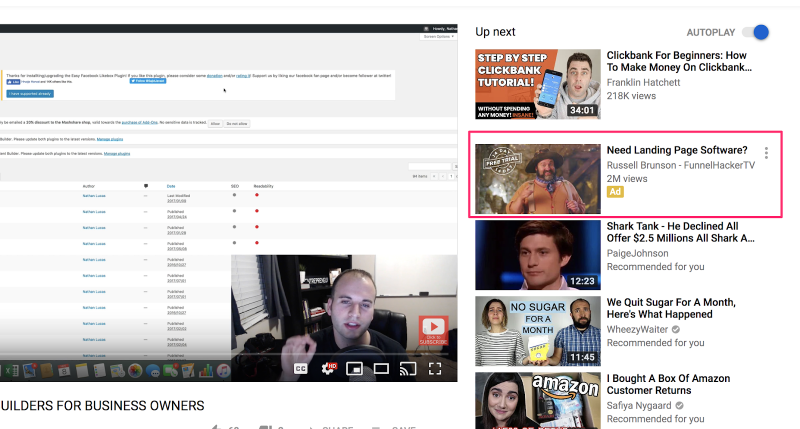 TrueView Ads are the videos that are skippable you’ve seen on YouTube, and they come in 2 formats – video discovery ads and in-stream ads. Since you’re paying for impressions for TrueView ads, they’re typically seen as best for branding and awareness goals. 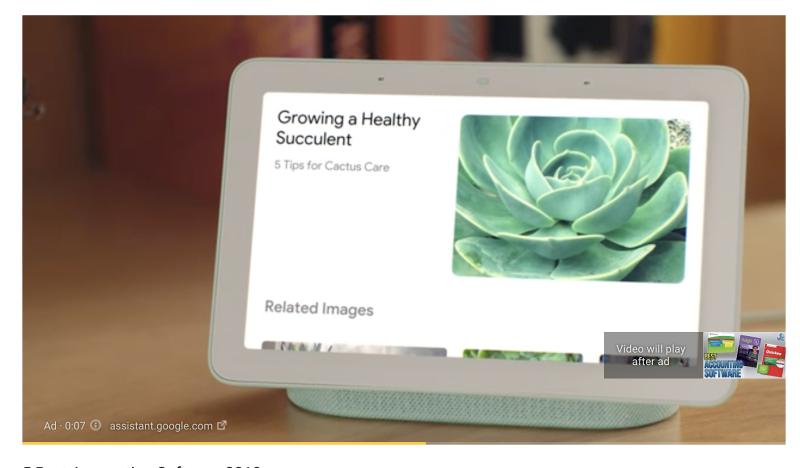 Pre-Roll ads are similar to in-stream ads, but they’re not skippable and can play before, in the middle of, or after the main video. 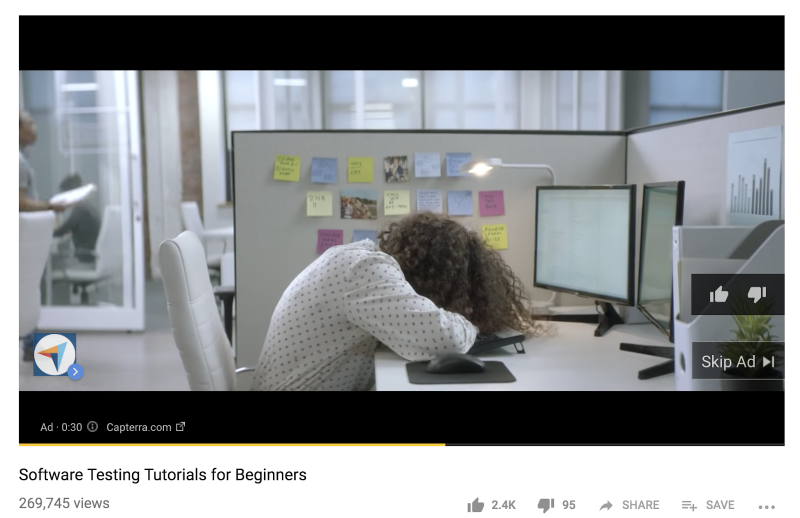 The time limit for these ad types is now 15-20 seconds. Since Pre-Roll ads are pay per click, they’re seen as better for sales and direct response campaigns. Bumpers are simple – 6 second (non-skippable) ad spots that play before the video that someone selected. These are intended for maximum impressions and reach, and are also charged on a CPM basis. Like TrueView ads, they can include a click-through link but are mainly utilized for views. 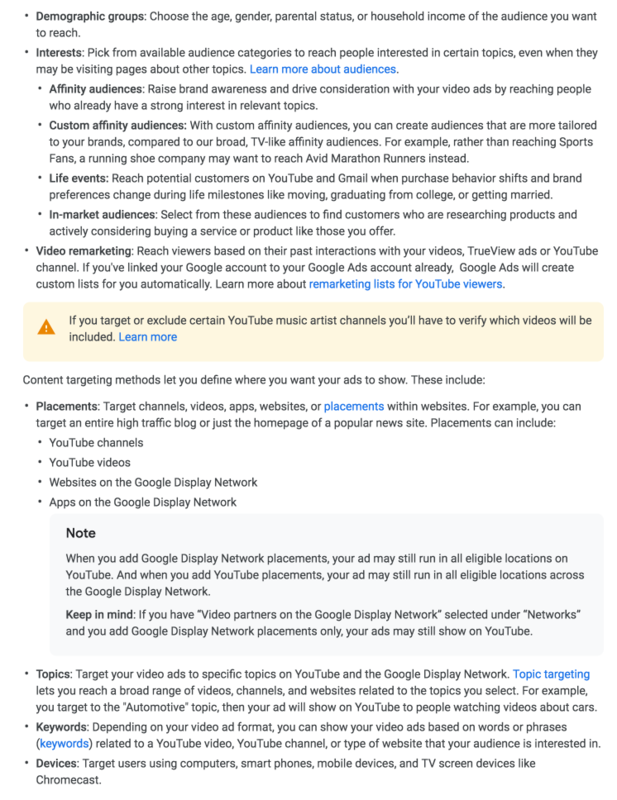 If you’re looking for a guide to help you get started or optimize your YouTube ads, this guide from Single Grain is all you really need. I’m a huge fan of LinkedIn for B2B lead gen. Where else can you get accurate targeting options like job titles, company size, industry type, and skills? LinkedIn offers you the ability to upload a list of contacts or accounts that they can identify on their network. Upload a list of up to 300k accounts (i.e. company names) or contacts (i.e. email addresses) nad LinkedIn will match them against their database of company and user profiles. 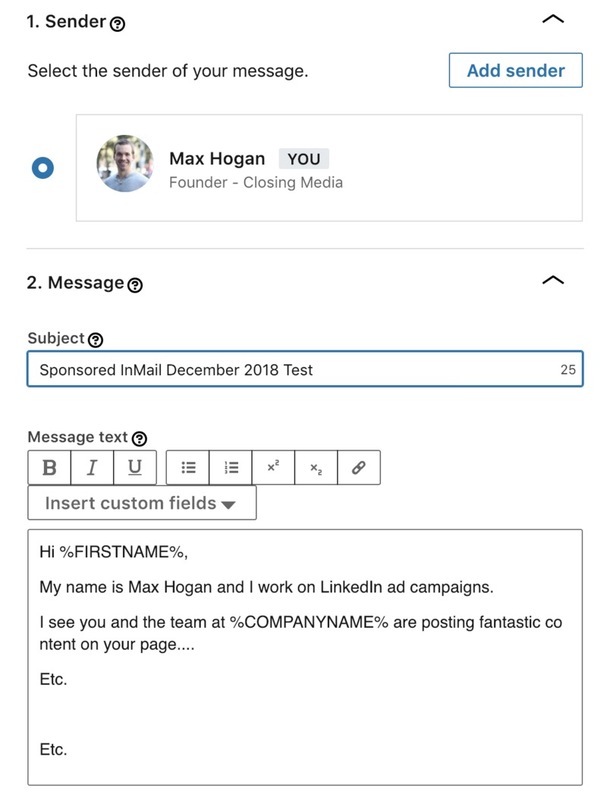 Marketo, Oracle Eloqua or LiveRamp users can also connect to LinkedIn directly to import lists of contacts. If you only have a list of business names but want to hone in on the right contacts, I recommend using a tool like LeadIQ to get up-to-date email addresses. Add a pixel to your site and retarget visitors while they’re on LinkedIn. 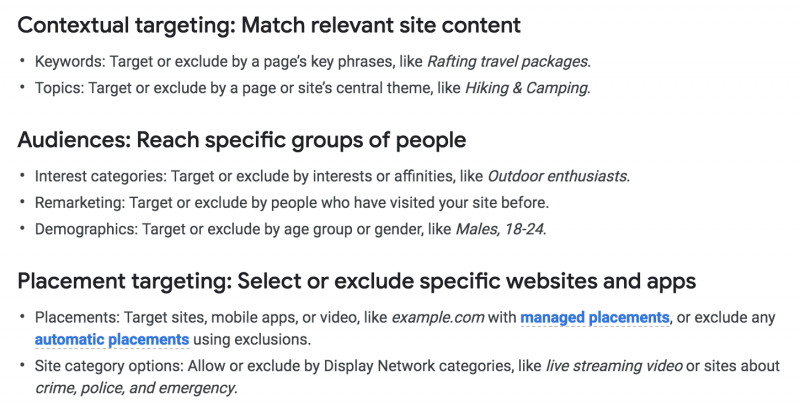 You can choose to retarget only people who hit certain pages or retarget all visitors, while also excluding people who have already taken a certain action (requesting a demo, for example). The main drawback with LinkedIn’s retargeting (as of this writing) is that you can’t edit the retargeting window – the default option is to retarget visitors within the past 90 days. This option allows you to target LinkedIn users with criteria like job title, company size, geo, industry type, skills, etc. You can then either download a list of those leads from Campaign Manager or automatically sync leads into your CRM or marketing automation through Zapier or Driftrock. Lead Gen Forms are typically useful for low commitment actions like registering for an event or webinar, but it’s something worth testing for demos as well. Lead Gen Forms are typically not as effective for requesting demos or signing up for a free trial. In those scenarios, you’ll want a landing page to provide people with more information since it’s a higher commitment action. Bids for this ad type are on a CPC basis (either automated by LinkedIn’s machine learning or set manually by you). 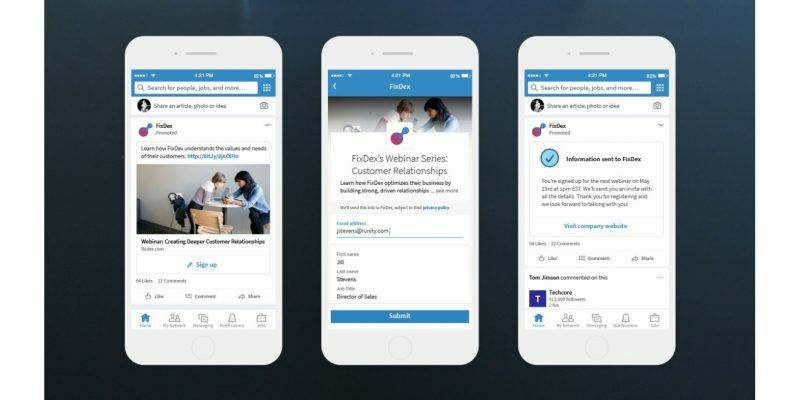 These are the image/video ads you’re used to seeing around LinkedIn. 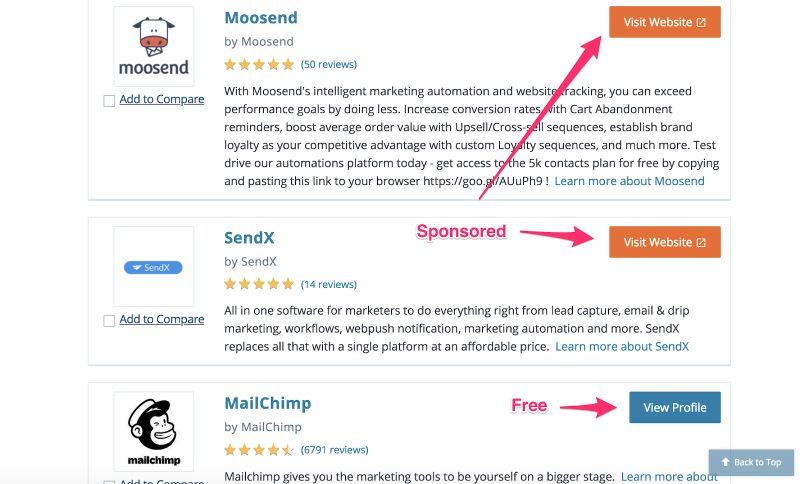 You can setup your Sponsored Content ad bids by CPM or CPC. Since most ads I run are targeted for direct conversions, I always run manual CPC bidding. While the CPM’s on text ads are enticing compared to sponsored content, I haven’t found them to be particularly effective. I’m sure you’ve seen this ad type from a recruiter or two. 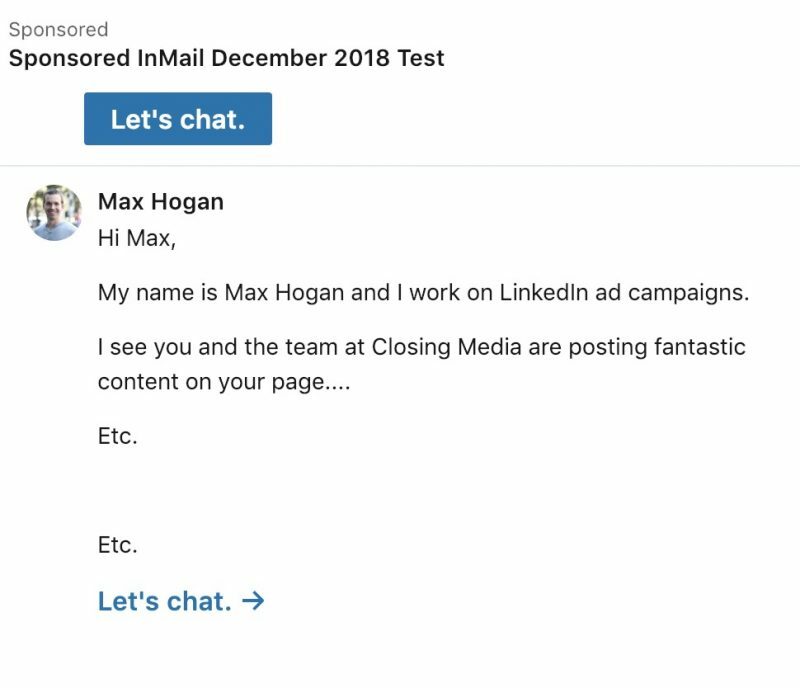 Case studies on effective LinkedIn campaigns are hard to come by, but luckily Andy Oliphant over at Megethos pointed me to one they recently put together. Megethos was tasked with driving sales qualified leads for DoubleDutch (makers of event management software) using paid media. 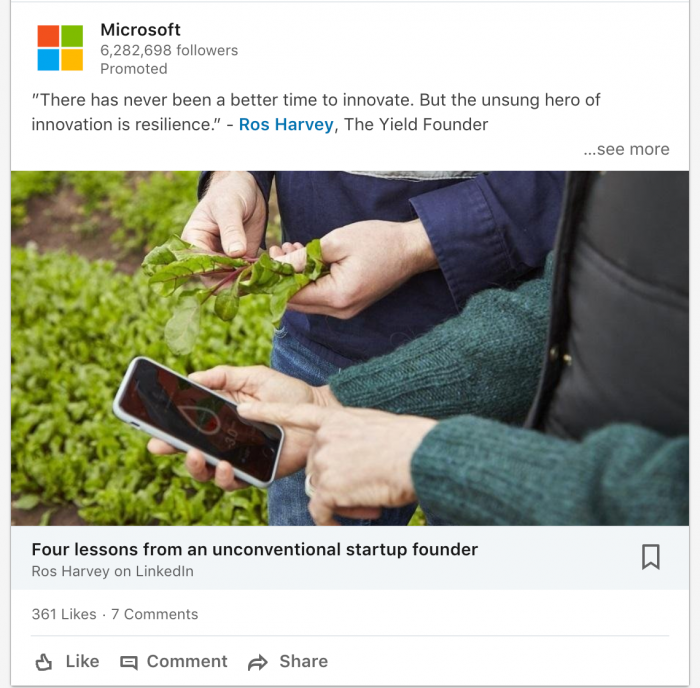 They initially started with just Google search, promoted Tweets, and Sponsored Content ads in LinkedIn – promoting gated content. 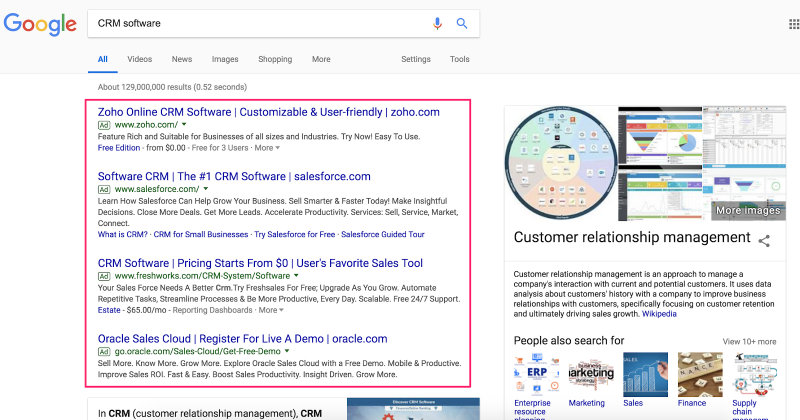 After 3 months of running Google, LinkedIn, and Twitter ads, they found that Google was the only channel that was producing qualified leads. In addition, the paid social leads were extremely expensive due to a low conversion rate. But they were close to maxing out Google search volume and needed to increase SQLs. The Megethos team knew there was too much value in LinkedIn targeting to not use it, so they moved all the paid social budget there. Next they researched each ad type within LinkedIn and came up with a testing plan to see which ad type would be best in increasing leads. 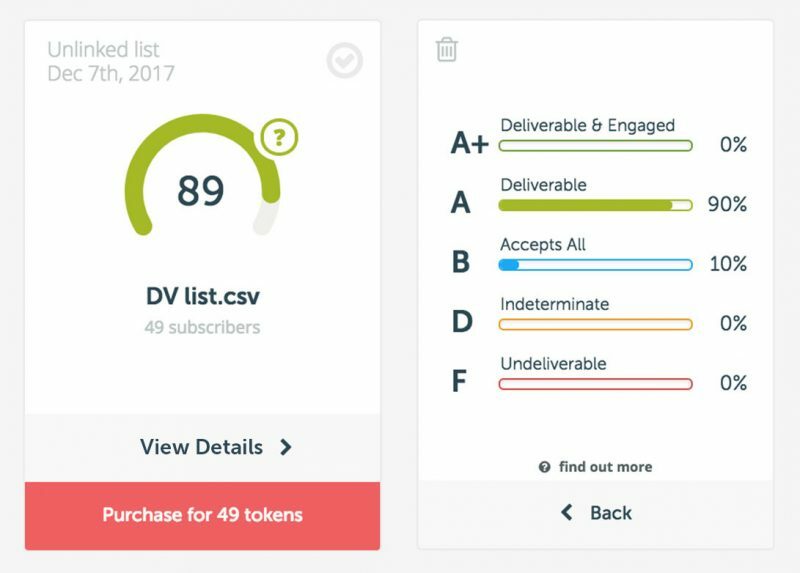 They expanded tests to Lead Gen Ads, Sponsored InMail, and Dynamic Spotlight Ads. Then they got even more granular. Within each ad type, they also A/B tested ad copy and creative to gain insights at every level. They found that LinkedIn Lead Gen Ads worked best for them. In just 3 months, they saw a 300% increase in paid social leads along with a 40% decrease in cost per lead. It was such a significant contributor that it led to a 29% increase in qualified leads across all paid media. 1. If you’re just starting out, avoid using LinkedIn’s Audience Network and Audience Expansion features. Audience Network is intended to help you expand your reach through third-party publisher placements. But according to AdStage, beta advertisers only saw a 3-13% increase in unique impressions. Audience Expansion is also intended to help expand your audience reach by working similarly to Facebook’s lookalike feature. LinkedIn will show your ads to audiences with similar attributes to your target audience. It’s better to find a couple campaigns that work well then attempt to use these features, rather than using them right out of the gates. 2. Don’t be scared off by LinkedIn’s high cost-per-click (initially). Marketers hear about or quickly experience LinkedIn’s expensive CPC’s compared to Facebook and are quickly turned off. The thing you have to remember is that the quality of lead is going to be MUCH higher than the other social channels. Professionals are on LinkedIn thinking about their career and industry. 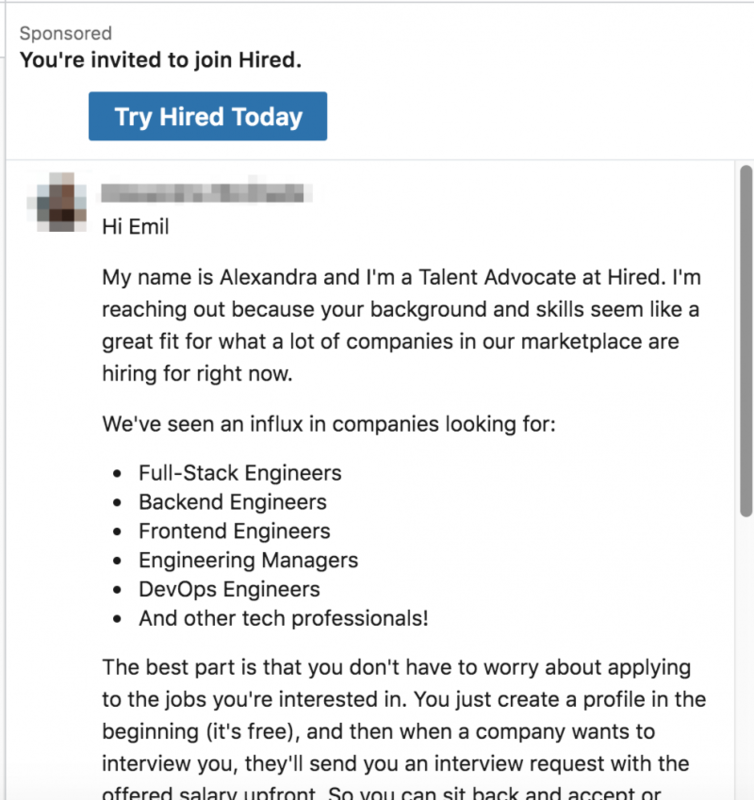 Plus you know exactly who you’re targeting because most people who are active on LinkedIn keep their job info and profile up to date. If the lifetime value of your customer is high enough, LinkedIn is one of the best places to advertise as a B2B marketer. I’m sure you’ve heard it or said it to yourself a million times. I have. There’s no doubt – Facebook is a tough nut to crack for B2B marketers. With that being said, if you’ve tried Facebook and it hasn’t worked out for you, you likely need to test different strategies. Facebook has over 2 billion active users. Your customers are there – the hard part is figuring out how to find and engage them. Facebook is an absolute behemoth when it comes to targeting so let’s cover just three of the most important audiences you should test first. Just like LinkedIn, Facebook allows you to upload a CSV file of prospects to create an audience. It’s best to create a segment of prospects based on a certain attribute that you can use to push better messaging (e.g. persona, business type, location, etc. ), however you’ll need a minimum of 1,000 people to upload for any single audience. If you don’t have enough prospects for segmenting, not all hope is lost. Facebook’s algorithm is pretty good at finding users who are most likely to complete your ad objective, so you can upload all your prospects into a single audience and still be successful as long as your ad and messaging are effective (more on that later). And if you don’t have anywhere close to 1,000 total prospects in your CRM, you can quickly and easily build your prospects database using LinkedIn Sales Navigator and LeadIQ. The more data you have on a prospect, the better match rate you’ll have. Other than the obvious stuff, Facebook allows you to upload multiple emails and multiple phone numbers for the same prospect. So in addition to a work email and phone, you can use LeadIQ to to find their personal cell and email to get a better match rate. With the potential to be even more effective than matched audience, retargeting allows you to create audiences from people who are signed into their Facebook account while they visit your website. For B2B, this is especially effective when it’s a bit more difficult to obtain people’s personal email addresses (which is what most people use with their Facebook account). There are lots of little tricks you can do with retargeting if you have decent traffic. To start, create a retargeting audience for people who visit your landing pages from other lead gen channels, such as Adwords. 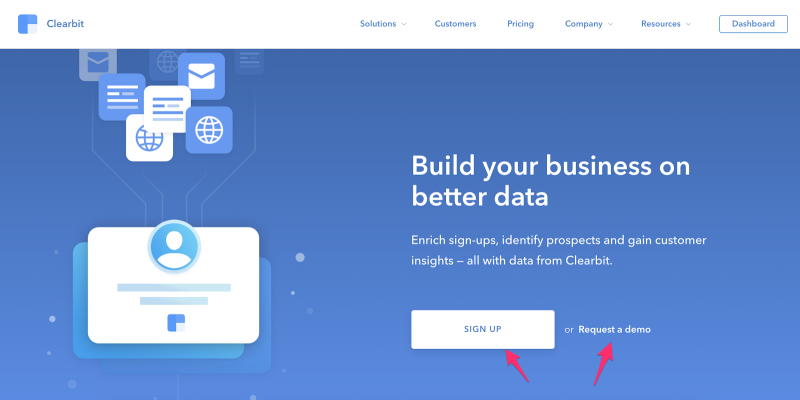 Or you can form a retargeting audience of people who visit either your landing pages, pricing page, or request demo page. Based on the page and traffic source, you can loosely determine their level of buyer intent and brand awareness, which you should match with the messaging in your ads as best as possible. For example, test bottom-of-funnel ads (i.e. trial or demo) for people who visited landing pages, pricing, and demo pages. Test top-of-funnel ads (i.e. guides and resources) to people who visited your homepage. When you need to expand your reach, lookalike is a great option to test. Lookalike audiences are new audiences of people that are similar to another (seed) audience created by Facebook’s algorithm (which is pretty powerful). Since the people in this audience have most likely not heard of your company or product before, test this audience only after you’ve successfully ran ad campaigns with matched and retargeting audiences. Use lookalike only when you need to scale as you’ll most likely find a higher cost per acquisition and generally a lower conversion rate. Matched, retargeting, and lookalike audiences are the three most effective targeting options for B2B lead gen and there is a lot of fine tuning you can do in each. 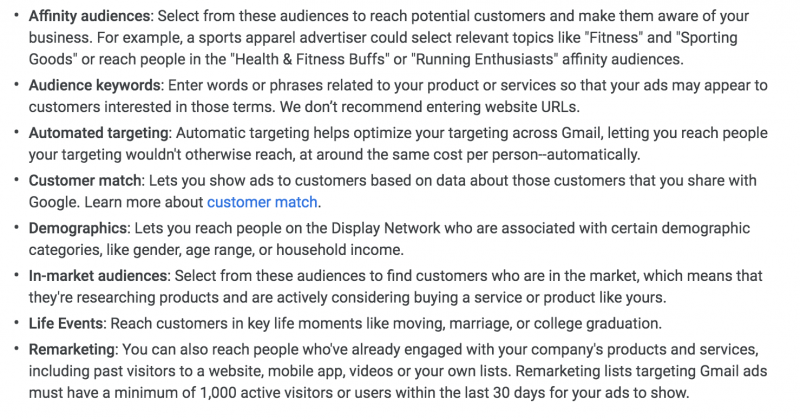 If you want to know the details and the other targeting options that are out there, here’s a comprehensive list from Ad Espresso. 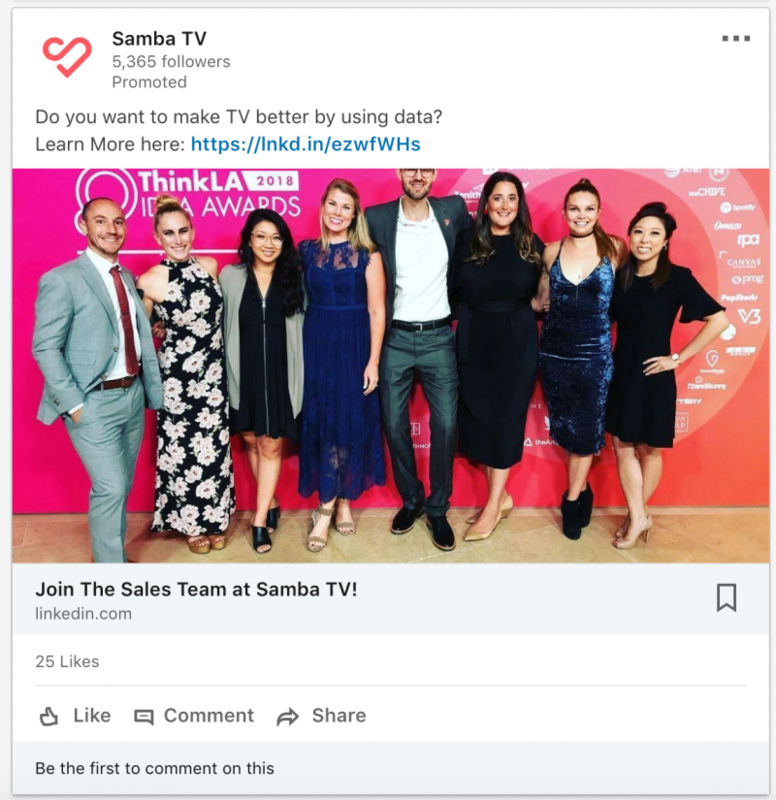 Leads and links ads are the two primary types of ads you’ll find success with on Facebook for B2B, but again there are lots of variations and other ad formats available you can try. Here’s another comprehensive list from Ad Espresso on the various ad formats in Facebook. The classic format – a link to your website. Facebook has many variations of links ads, such as an image, carousel, video. Essentially they are just a link to your website and can be used for top or bottom-of-funnel. Instead of a typical ad that drives people to a landing page, the Lead Ads format shows a form when a user clicks the ad. The form is prefilled with known info about the user and you can customize it with additional questions. Because Lead Ads don’t drive traffic away from Facebook like typical ads do, you may see higher reach and deliverability at a lower cost. When I was at ServiceTitan, we saw more volume of demos through leads ads, but they were lower quality. When directed to a landing page, we saw lower lead volume but higher quality. We used lead ads more because it resulted in more meetings, but after a while we went back to a landing page because results were fading and we thought we could do a better LP. That’s why when testing Lead Ads and Facebook ads in general, it’s important to measure cost per opportunity and cost per closed-won (by audience and by ad type) because there can be large differences in your return on ad spend. Since you’re most likely targeting people without intent and likely haven’t heard of your brand before, it’s important you structure your ads in a funnel to create demand and turn cold leads into warm ones before going in for the bottom-of-funnel CTA. Like any other advertising channel, successful Facebook advertising requires that you understand your target audience and conversion funnel. Otherwise, you won’t be able to promote the right offer at the right time to the right audience. 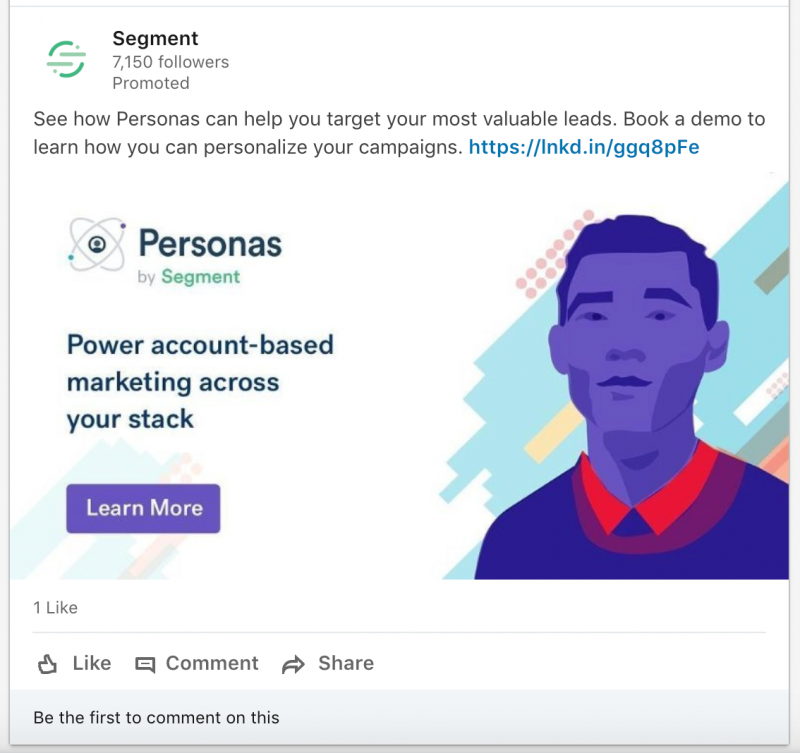 This is the key to a good lead acquisition strategy on Facebook: use messaging and content in your ads that’s relevant to your product at the top of the funnel to engage the right audience, then retarget them to see if they’re interested in a free account, free trial, or demo. Here’s a step-by-step guide on how to structure ad funnels to build relationships with your cold leads through Facebook ads by Digital Marketer. Let’s use CoSchedule as an example. 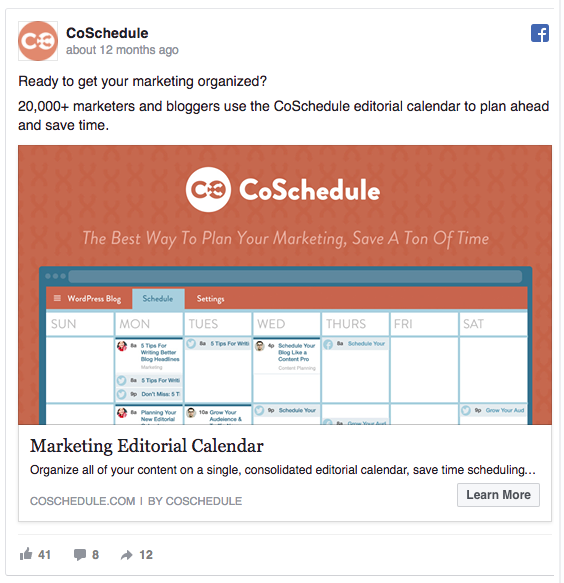 CoSchedule helps marketing teams (content marketers, editors, social media marketers) consolidate and collaborate on their editorial calendar in one place. Like most companies, they’ll probably start by going after their low hanging fruit – retargeting visitors who hit their homepage or other key pages, but never converted. Then, they might turn to targeting cold audiences (via lookalikes or core audiences) to scale their lead gen program. So what they could do is take one of their best performing pieces of content that is highly relevant to the problem their product solves. This guide about creating a content marketing editorial calendar would be one thing to try. CoSchedule could send traffic directly to that page or convert it into a downloadable guide and send traffic to a landing page to get name and email info. Now CoSchedule has identified people who could be a good fit for their product. Need some inspiration? 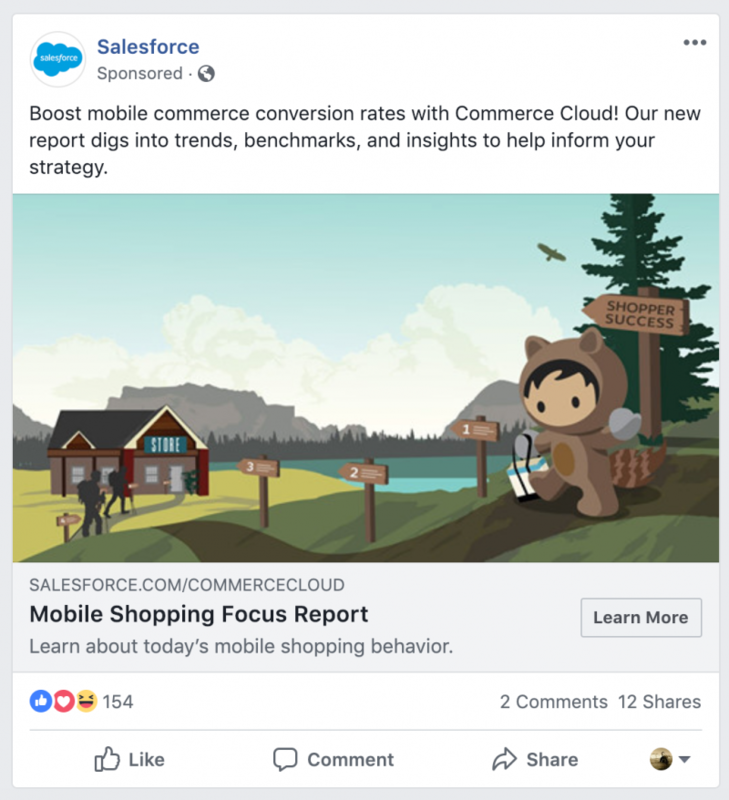 Check out 47 Facebook ad examples to help you build your next campaign. People go on Quora to ask and answer questions. 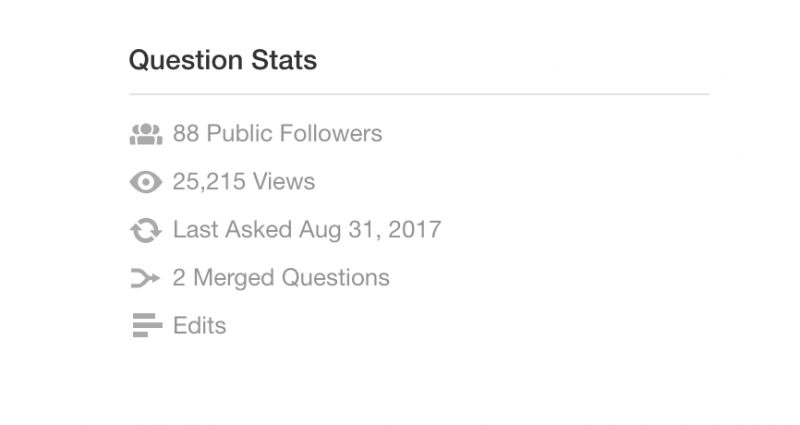 Quora has over 200 million monthly unique users and almost every question you can think of has been posted on their platform. 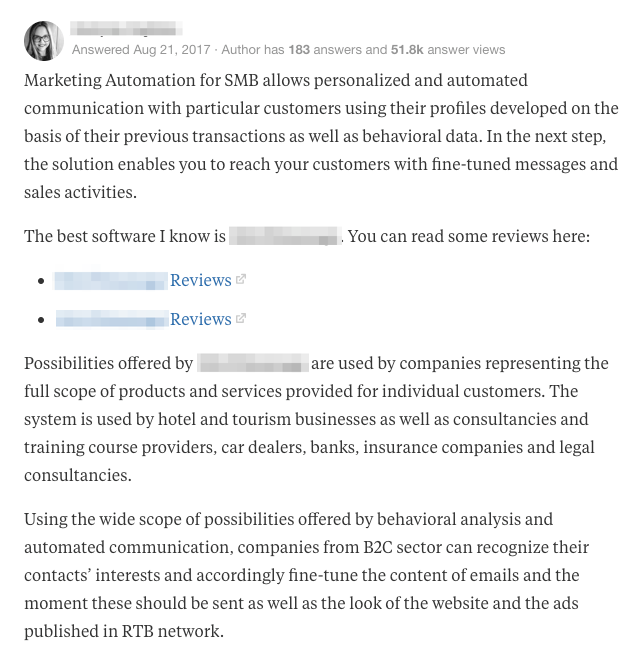 Quora is unique in that it offers marketers another way to target intent based searches besides search engines. 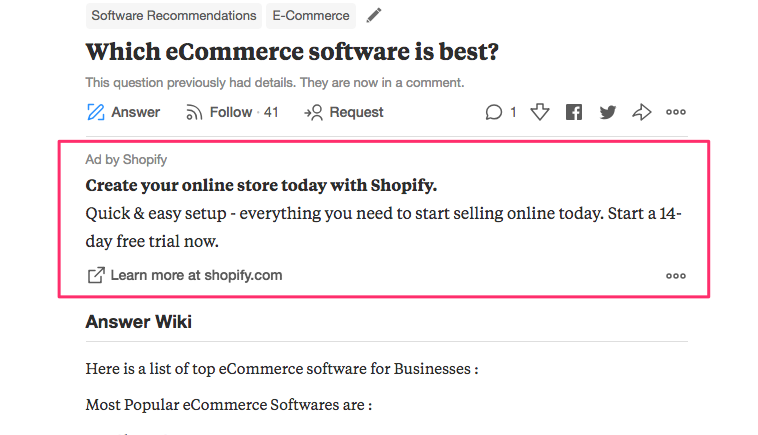 I’ve run some Quora Ads tests for a few products now, but was never able to get enough impression or click volume on topics and questions that made sense for us. So we never really invested a ton of time/energy/money trying to grow this channel. 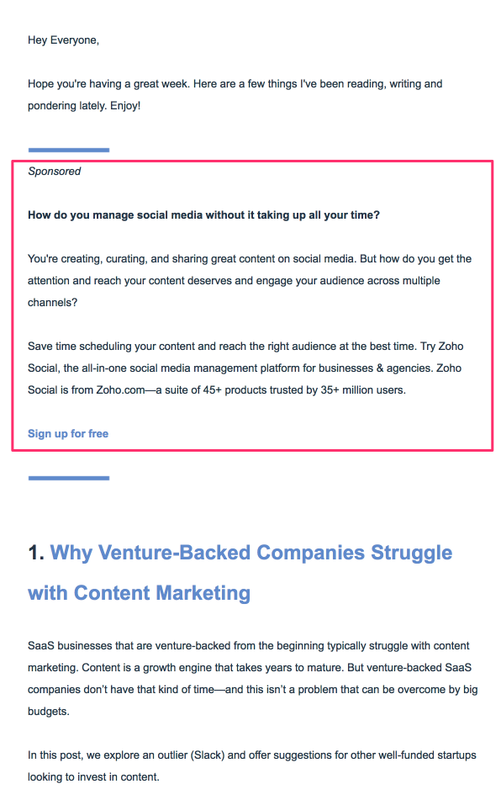 Wordstream (who has been providing me with a lot of resources for this guide – thanks guys! ) decided to run a test through Quora Ads for 30 days. From 1,135 clicks on 230,604 impressions (0.5% CTR) they were able to generate 23 content downloads and another 20 ran their AdWords Performance Grader. Of their qualified leads through this campaign, they found Quora to be about 17% more expensive than Google Ads, but 31% cheaper than Taboola and 19% cheaper than advertising on Capterra. So they decided to shut down Taboola and Capterra ads, while keeping Quora going. If you’re interested in hearing about the experiences of other advertisers on Quora, this thread is helpful. A much cheaper (but also less scalable) way to generate leads through Quora is by responding to question threads themselves. You should seek to answer questions that are relevant to your product, the problems it solves, and the customers you serve. Your first thought will be to recommend your product in your answer. 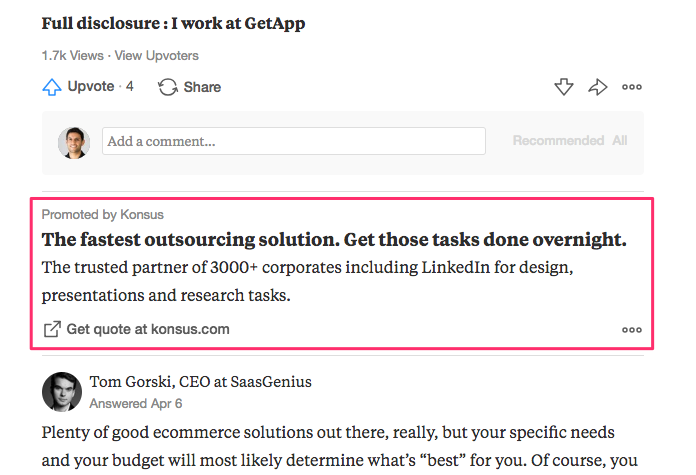 Quora doesn’t prohibit doing that and many people do it. The key is to add something well thought out and not overly biased to each thread. But people reading these answers aren’t stupid. They see that you’re promoting your own product and their BS radar immediately goes off. So the smarter move would be to do something like asking your customers to give an honest response to questions that have to do with your product category. As we tend to do on any site that has a voting mechanism, marketers will game that system. But I’ve noticed that being a trusted and expert author carries the most weight. If you look through a lot of Quora threads, you’ll notice that many of the top answers don’t necessarily have the most upvotes. Instead, they’re typically by people who answer a lot of questions, answer questions in detail, and provide as unbiased of an answer as possible. Jenny Weeden at Accelity Marketing posted 218 B2B Quora Answers in a Year. Here’s what she learned (with some best practices you can use to get high engagement). 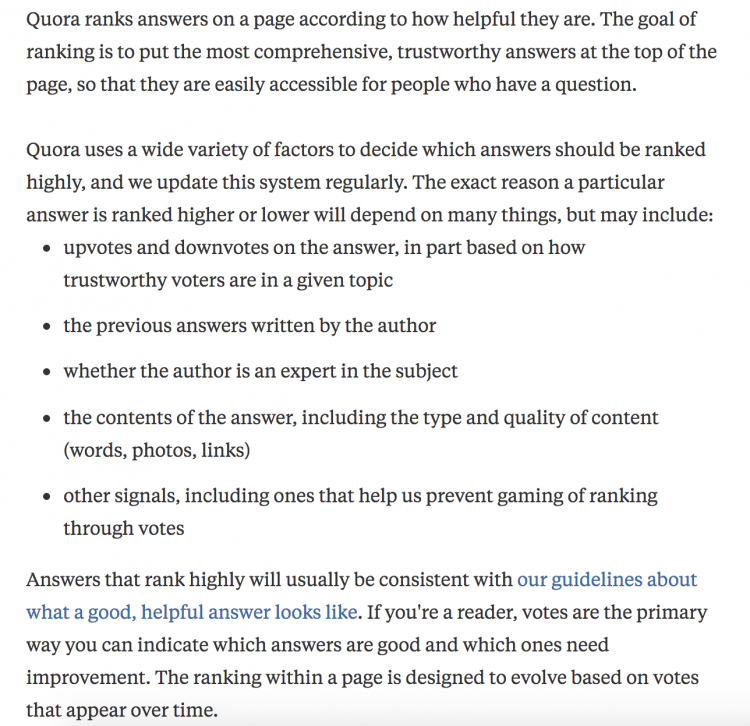 Want to know the most popular questions on Quora? This guy put together a list of the top 1,302 questions (and counting). For every “guru” claiming that email is dead, there are thousands of marketers quietly smiling because their analytics shows them otherwise. A list buy is where you pay a broker or list provider to acquire a list of names, email address, phone number, etc. based on demographic or psychographic data. This is probably not most marketer’s cup of tea, but it’s worth talking about. If you’re going to test out a list buy, I would recommend using a service like DataValidation to first scrub that list. Every broker/list provider will claim their lists are “email verified”, but I’ve tested this assumption and it always fails. Use DataValidation and only use the A-rated emails. The other ones have high bounce rates and will hurt your deliverability. Then once you’ve cleaned your list, use something like SendGrid to send those emails. I won’t put lipstick on a pig here. With this strategy, you’re technically emailing people without their consent. Adding them to the same list as your opt-in list will hurt your deliverability because you will undoubtedly have a couple people who will mark your email as spam. So keep this list separate from your opt-in email list. List rentals are also acquired from a broker or list provider, but instead of buying the list outright, you rent the information. Therefore you don’t actually obtain any of the contact information and have to work with the list provider to email the list. A paid email sponsorship is when you find a person or company who already has an email list and pay them to send an email to their list on your behalf. I’m a big fan of this technique. From personal experience, it’s leaps and bounds better than the other 2 paid email lead gen strategies. Since the email is coming from the list owner and those contacts are used to hearing from them, the sponsorship is coming from a trusted source and will be more effective in generating leads (and better quality leads, too). This case study comes from August Noble, SnackNation’s Senior Marketing Manager. Take it away August! 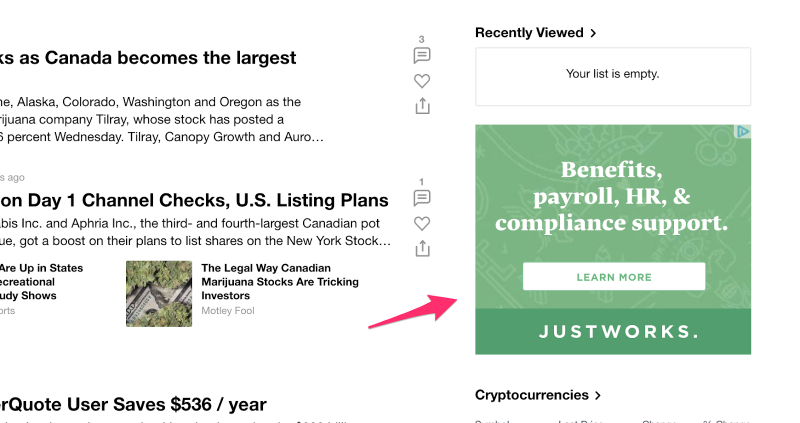 The most important step in figuring out what newsletters to target is understanding exactly who your target customer is. Once you know who they are, you can start building a list of newsletters they are likely reading. Often times, an easy way to do this in the B2B space is by job title. For example, at SnackNation we know that the majority of our customers are Office Managers or Executive Assistants. So going into our research we knew to look for newsletters that focused on speaking to these specific groups. You may already know a couple of the top newsletters that your target customers are reading. Compile those and any others you find during your research into a spreadsheet. *It’s worth noting the specific strategy discussed here is most applicable to smaller associations and email lists. Any of the major players in your industry (TechCrunch, Ad Age, etc.) will already have media kits available. Most people with good sized email lists are open to sponsorship opportunities, but that doesn’t mean you should ask about them in your first email. Remember, the person you’re emailing is building a community of your target customers and probably will be for a long time. Your only goal at first should be to build a relationship with them. Then, if your product or service will truly add value for the people in their community (your target customers) a partnership is a logical next step. Subject: I love what you do, [First Name]! My name is August Noble, I’m the Inbound Marketing Manager (and snack expert 🙂 ) at SnackNation. We work with a ton of [Target Customers] across the country and I’d love to explore some ways that we could work together! Do you have 15 minutes available later this week for a quick call? You’ll notice this first email is very light. It’s only goal is to open up a conversation about potential partnership opportunities. Once you’ve opened the conversation you can then explore all potential partnership opportunities including sponsoring an email to their community. This is an ongoing partnership marketing strategy for SnackNation that is constantly generating new leads and partnership opportunities. A single partner email to a list of 30,000 Office Managers produced 393 leads for our business. 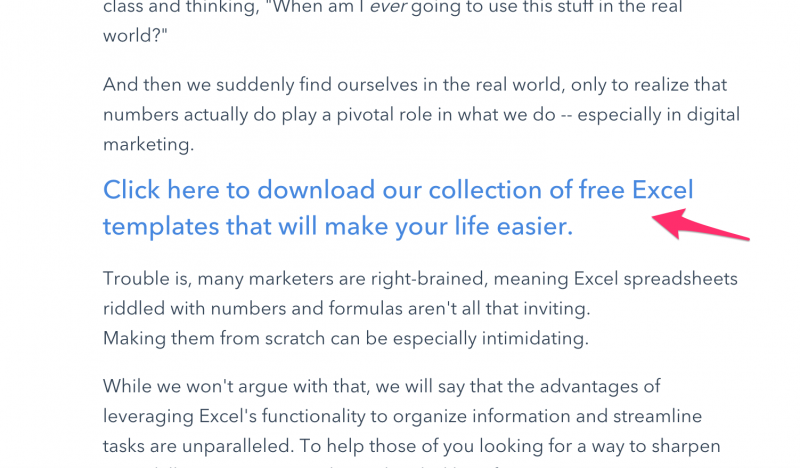 Ryan Bonici of G2 Crowd wrote a great article breaking down how massively successful free content tools were for him at HubSpot. 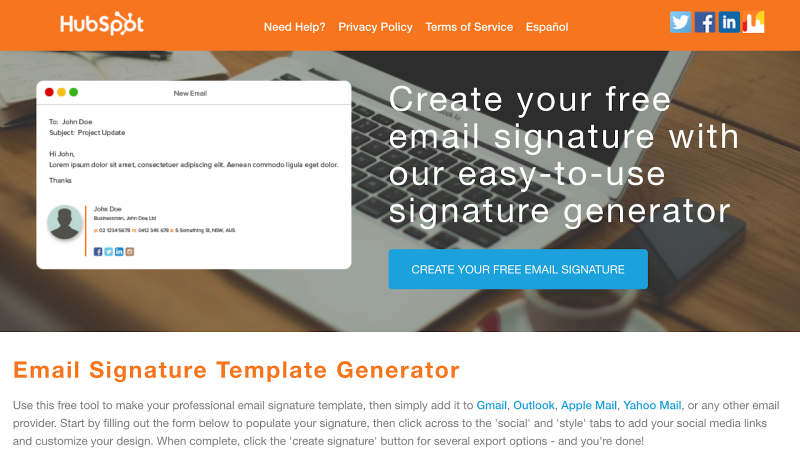 In particular, he shares the story behind their now infamous Email Signature Generator and how it has generated approximately $64 million in net-new customer revenue for HubSpot. Crazy. And before you cry foul that this only works in the marketing space, here’s a perfect example from a company that makes software for healthcare providers – PatientPop. PatientPop has a unique tool that allows healthcare practices to see how they appear online and gives you an overall web presence evaluation. It’s a helpful tool for their target audience and is extremely relevant to their product, so I’m sure this has been a really valuable lead generation idea for them. Another way to play off this idea is through a quiz or assessment. It’s a B2C example, but it can easily be applied to a B2B setting with a little creativity. Freemium is a go to market strategy where you offer users a simple version of the product completely free and charges a premium to unlock supplemental or advanced features. Free trials, on the other hand, give you access to the complete suite of features, but only for a limited period of time after you sign up (often 7, 14, or 30 days). There’s a lot of nuance as to which model is right for your business, and it’s a topic all on its own. Here’s an article that outlines a solid framework for deciding between the two. For obvious reasons, both of these strategies are great for lead gen. You give people a really easy way to try your product and get value from it before you ask them to pay. While some B2B companies can get away with a lower/no touch sales model if their product doesn’t cost very much, most companies find that there are challenges to this strategy as deal size increases. While “pure” freemium businesses (which I would define as having zero touches during the sales process) may work well in the consumer product world, B2B products hit a growth ceiling that often can only be broken through by using a higher-touch sales model. You can’t (nor should you) try to send every lead that comes in through free trial or freemium over to your sales team. 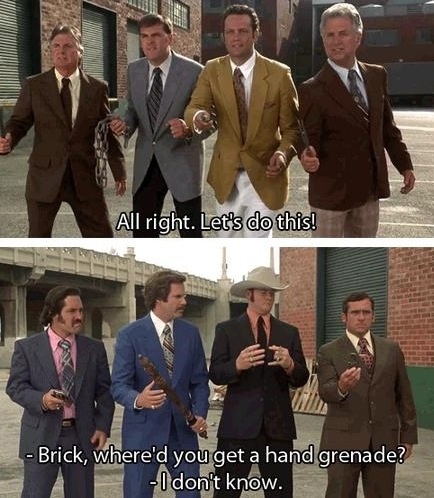 Otherwise your sales team will waste a bunch of time on leads that aren’t a great fit, resentment builds, and marketing and sales end up clashing in a battle royal. This is where predictive analytics can be really valuable. Tools like Madkudu can provide you with reliable lead scores that help you mine through all your leads to figure out which ones are the best fit to be customers of your product. Referrals are typically an amazing source of quality leads. Who better than your customers to recommend or refer you to other people who could benefit from your product? But referrals can be one of the most difficult lead gen channels to control. Here are a couple examples of B2B companies who are doing it well. 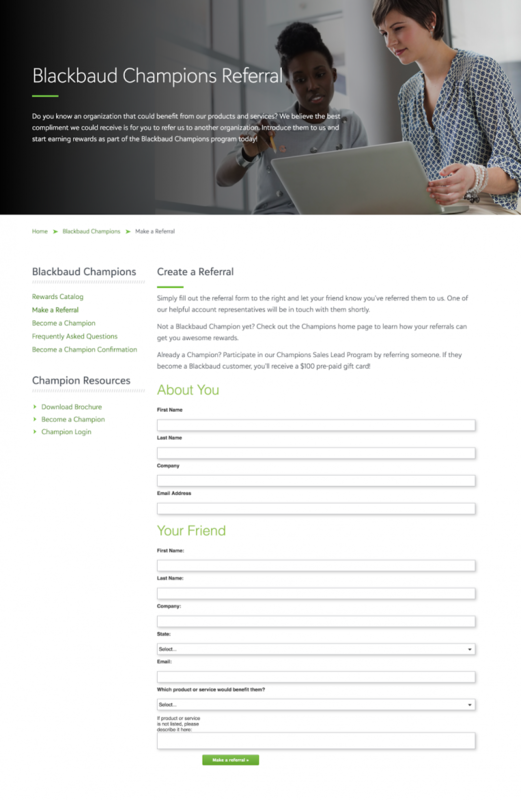 Blackbaud calls their referrals the “Blackbaud Champions program”. 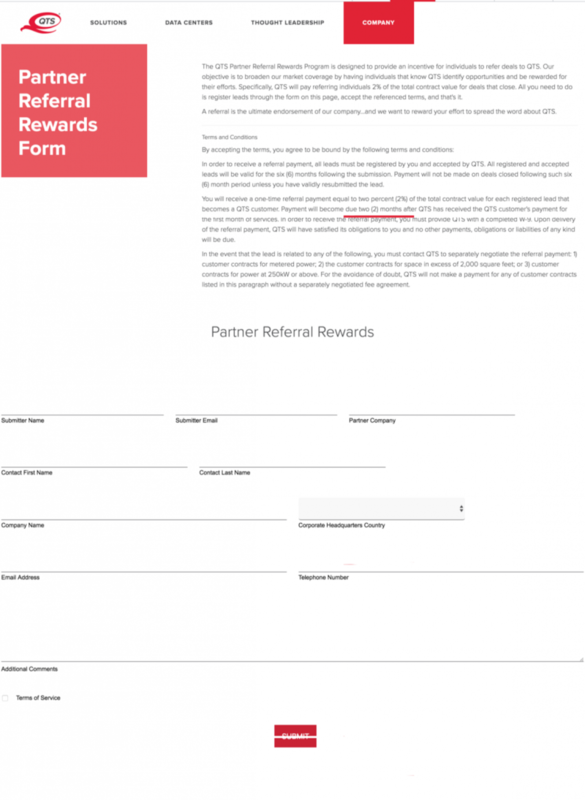 Every effective referral program has an incentive in place (Dropbox, Uber/Lyft, Blue Apron, etc.) and Blackbaud is no exception here. They offer a one-time payment of 2% of the contract value of each company you refer that becomes a customer. So your incentive scales with the amount of business you bring them. Direct mail is another marketing strategy often labeled as “dead”, which really means more opportunity for people who can be creative. It is my contention that everybody divides their mail every day into two piles. An A-Pile and a B-Pile. The A pile contains letters that appear to be personal. Like letters from friends, relatives, business associates, and so on. 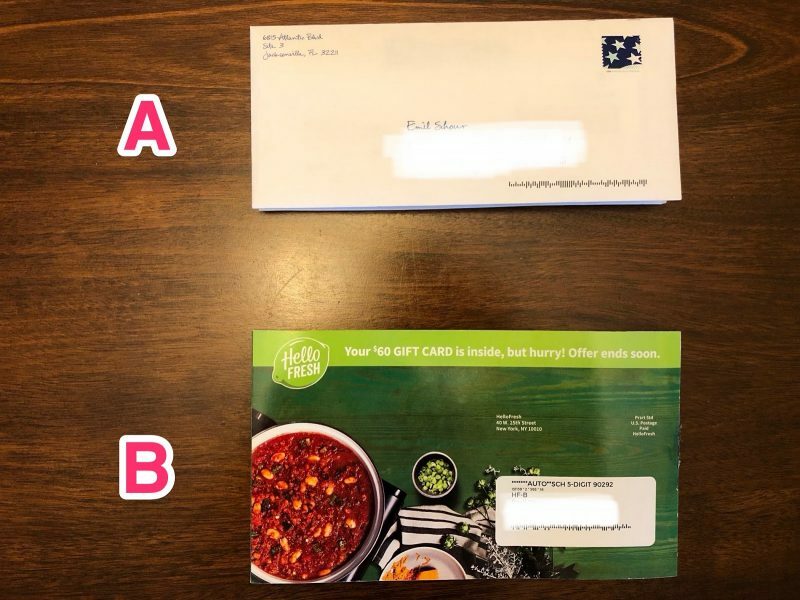 On the other hand, the B pile contains those envelopes that, like the example above, obviously, contain a commercial message. If you’re doing direct mail, your goal should always be to make it into the “A” pile. Use personalization, make it look like a handwritten letter from a friend, something really attention grabbing, lumpy mail, etc. Whatever you have to do to get someone to want to open your letter. I’ve personally used Enthusem to help us personalize and automate our direct mail sends and we saw great results. Here’s a case study of a direct mail campaign SnackNation ran that won them the AMA Marketer of the Year Award. Here’s another case study of how Autodesk generated a 193% ROI on a direct mail campaign. While there are dozens of review sites out there, I’m going to focus on the 2 biggest players for software companies: G2 Crowd and Capterra. Free plans include 5 leads/month, and paid plans offer 100 leads/year (“Activate” plan) or unlimited (“Accelerate” plan). Buyer Intent Data allows you to identify companies that have visited your G2 Crowd page, your category page, or a comparison between you and a competitor. You know that when someone is comparing you side-by-side to a competitor, they’re obviously deep in the funnel. With this data in hand, you can be proactive in reaching out to the right person at those companies to start a conversation. Buyer Intent Data is also a paid for feature, so for you’re interested in learning more about it, go here. 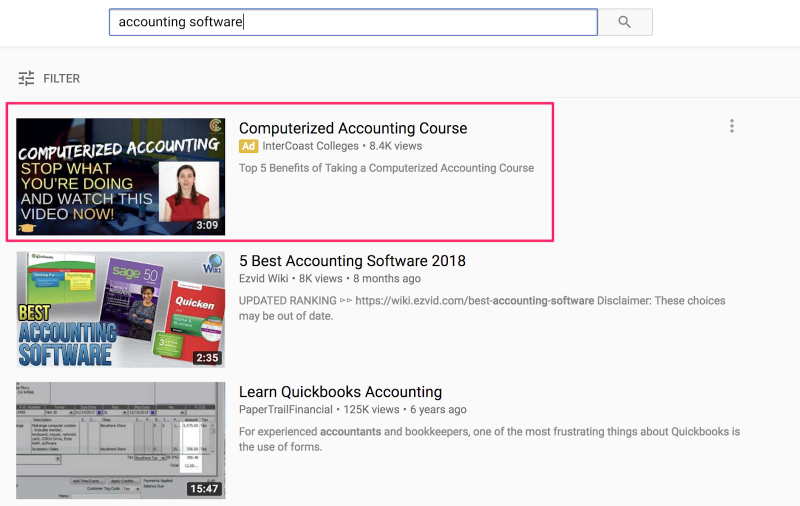 Besides organic reviews, Capterra offers marketers the ability to bid for placement (on a CPC basis) at the top of software category searches. Vendors who bid for placement have the orange “Visit Website” button next to them when you click into a specific software category, versus a blue “View Profile” for free listings. What’s nice is that you can play around with your bids in the Bid Summary tab of Capterra to figure out which position you want to land in. Quick tip: if you’re advertising in multiple software categories, I recommend making separate landing pages that are relevant to each vertical. It’ll improve your conversion rates over a general landing page that covers all categories. Integrations and marketplaces share a lot of similarities, but there are a couple of key differences. Integrations aren’t first and foremost a marketing or lead gen strategy, but that is one of the many benefits of having your software play nice with others. Obviously, the more tools and software companies that you can create integrations for and get listed in their catalog, the better chance you have of tapping into their customer base. And this form of referral traffic can be some of the best because customers of one product are looking to buy products that compliment a tool they’re already actively using. Marketplaces are similar to integration catalogs, but for much larger companies with a large ecosystem of integrations and web traffic. The main drawback is that many of these marketplaces have associated costs. You typically have to pay a yearly fee to be listed on them. Some marketplaces also take a percentage of the revenue from customers referred to you by their platform. For non-SaaS companies, I’ve seen ideas similar to marketplaces in the form of a preferred vendors list. Typically, one company will work with and recommend other products and services that are complementary to their own. For example, Moz (makers of SEO software) has a page on their site listing a bunch of agencies and consultants that they’ve vetted and recommend. 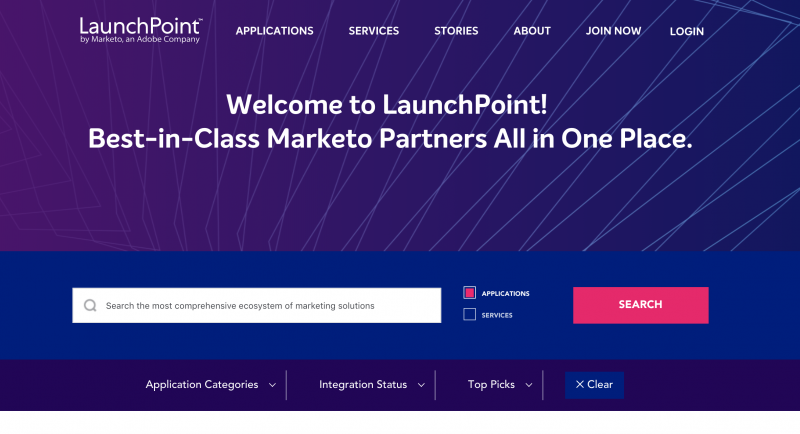 If you want to learn more about using marketplaces and integrations for lead gen, check out this interview I did with Tyler Bench talking about how they leveraged these channels to grow LucidChart to over 14 million users. Host a local meetup, dinner, happy hour, etc. Made popular as Play #27 in Marc Benioff’s Behind The Cloud, city tours are a bunch of local events around the country where you bring together current and prospective customers. This can be in the form of meetups, dinners, or happy hours. These events can be highly effective because your current customers typically do the selling for you, which happens to be the best and most trustworthy form of selling. Sponsoring a conference can be a wonderful lead generation strategy. You get to meet face-to-face with (hopefully) decision makers who are there to learn and get better. 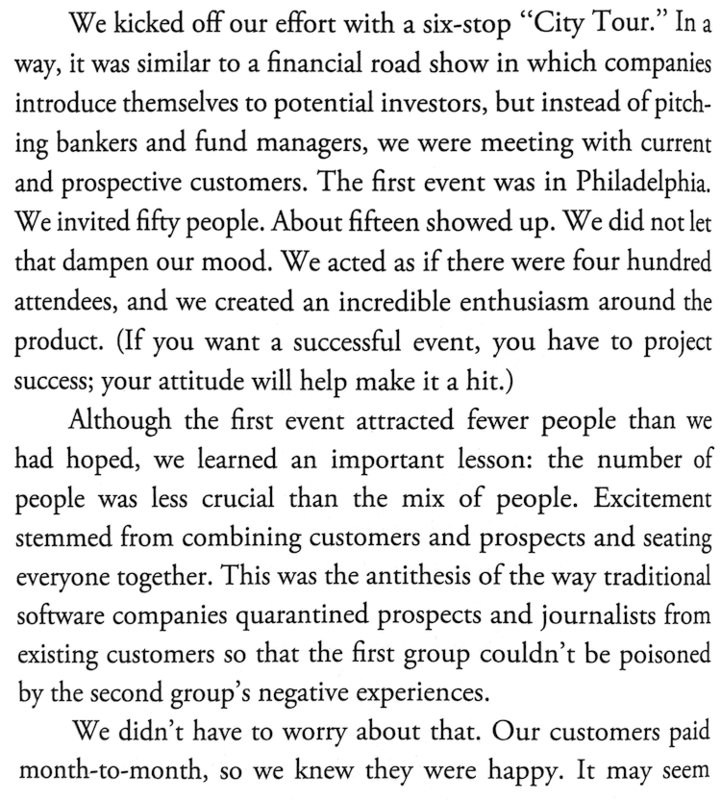 The key has always been choosing the conferences that attracts the right people (i.e. your ideal customers). Dreamforce is one of the largest software conferences in the world, attracting over 170,000 people in 2018 alone. GamEffective decided to sponsor Dreamforce this past year and booked 135 meetings between 2 reps. 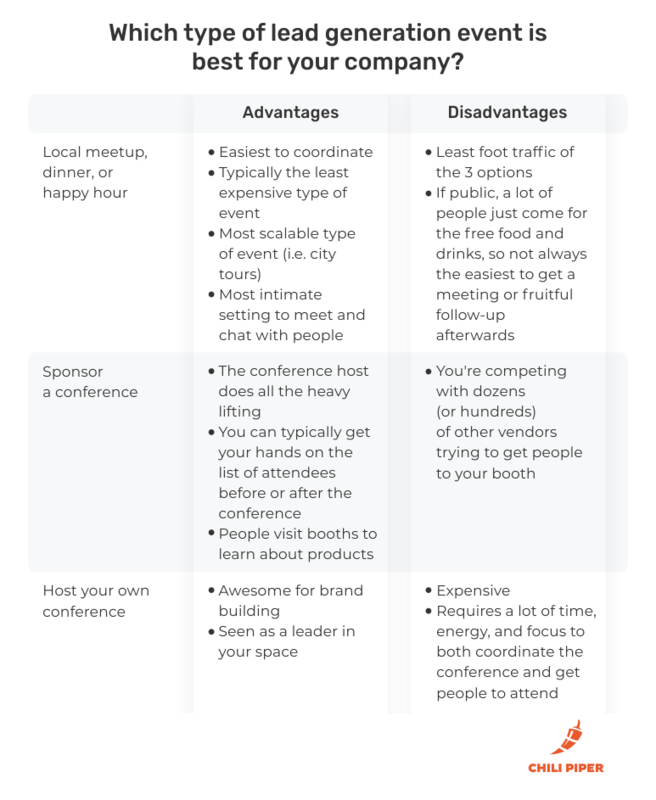 This is one of my favorite case studies on how effective conference sponsorships can be and you can read more about it here. You may be thinking… does my industry really need another conference? I get it – it feels like we’ve reached peak conference because every company seems to be hosting one now. But again, if you look a this through the right lens, you’ll see the opportunity. If you’ve been to a couple of conferences recently, you’ll notice that they all start to feel the same. Same speakers, same topics, same events. There’s plenty of room to do something different and memorable. Great example: The Data Driven Summit by Grow.com. Our Head of Business Development, Michael Tuso, Michael Tuso, attends A LOT of conferences. I think he went to 5 in a single month this year. There’s one major lead gen tactic we haven’t yet covered in this guide – outbound. In a nutshell, outbound lead generation is building lists of contacts that match your ICP (ideal customer profile) and sending them messages, typically through a combination of emails and/or calls. A lot of people will claim that outbound is dead, but when it’s done right, it’s one of the best early wins and most predictive revenue growth channels. It’s telling that the company responsible for starting the inbound marketing movement (HubSpot) has a large sales team that engages in outbound activity. There are a lot of awesome tools and data providers that help you find companies that are a good fit for your product, and to find the right contacts at those companies. 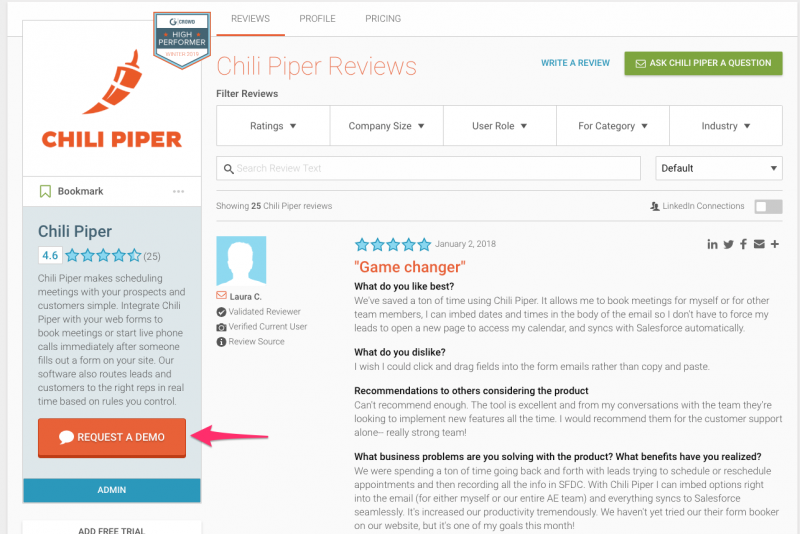 We use Clearbit a lot at Chili Piper, both for data enrichment and creating lists of companies that we want to prospect. Then to make that list even more robust, we hire and train a VA to find the best fit accounts from that list based on criteria we’ve honed over time. To find the right contacts once possible good fit companies have been identified, LeadIQ is our current tool of choice for finding the right contacts. LeadIQ gives your sales team verified work emails, cell phones, and firmographic data. We’ve used a tool called Scrapebox to scrape Google for websites that have keywords that we want to see. 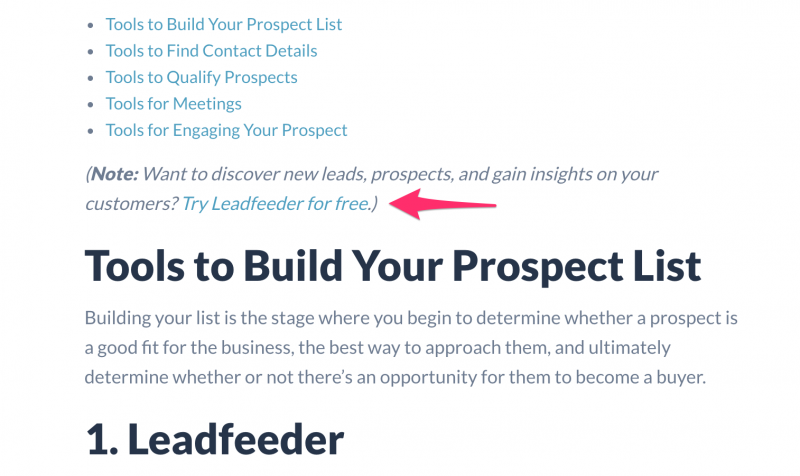 Leadfeeder is another interesting tool that can be used to find good companies to add to your outbound prospecting list. 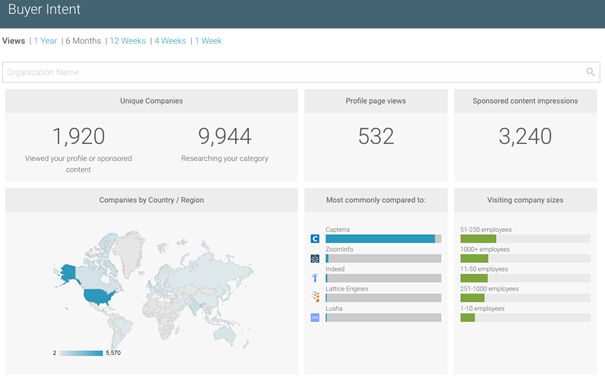 Leadfeeder shows you which companies are visiting your site, how they found you and what they’re interested in. 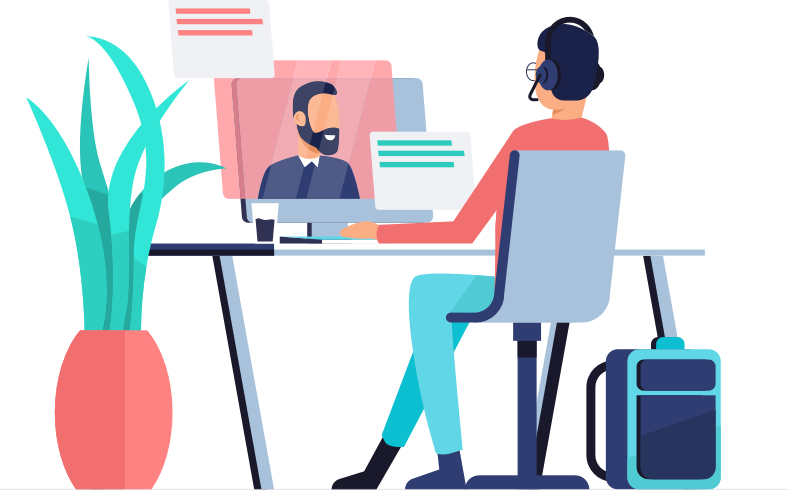 While these tools are vital for finding the right people to contact, an equally important (if not more important) piece is the right message to get attention and set quality meetings for your sales team. But honestly, these are all just best practices created by other people. I’m a big believer that you should test and develop your own set of best practices. For example, if you read just about any sales blog on this topic they’ll tell you have to personalize every single email you send. We’ve actually tested this assumption by sending emails from our SDR’s with personalized videos. Surprisingly, that campaign’s results were poor compared to more templated outreach – these videos took time to make and a lower volume of emails sent meant it was harder for reps to hit their number. I’m not saying that personalization doesn’t work. I’ve heard from many folks who have done something similar to our video campaign outlined above and saw success. My point is that best practices aren’t a magic bullet either. We’ve tried many different emails at Chili Piper until we found the right combination (and we continue to test and refine our sequences). For example, if you’re in an established category that people are well aware of (i.e. HRIS software), search will undoubtedly be an important channel for you. But if you’re creating a new category, you have the challenge of creating demand. In this instance, channels like social, referrals, and events will likely be important drivers for you. I think it’s best to look at your lead gen program as a system rather than siloed channels. Often times, these channels work together to help you convert leads. Running display ads and social ads will boost your brand name searches, so making sure you’re the #1 result in Google (both paid and organic) for brand searches is key. It’s also important for you to create a cadence to regularly try new channels. Maybe it’s part of your goals to test something new each month or quarter. The faster you can test new channels (especially in the sense of being early to a new channel), the faster you can use it before your competitors start adopting it as well. To help you do that (and so you don’t leave empty handed), you can download this spreadsheet template that we use here at Chili Piper to track all of our performance on paid channels. 16.So What Should You Do Now?